A list of reports, articles, or published letters about public entities in the health sector or health-related matters. June 2018: The performance of organisations providing health services, including the district health boards (DHBs), is important for New Zealand's economic and social well-being. In 2016/17, $16.22 billion was spent on health. 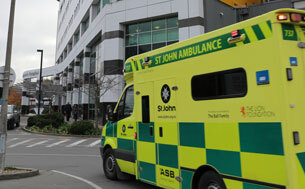 However, continued financial pressure makes it difficult for DHBs to invest for the future. It also affects their resilience and their ability to make investments to deal with significant changes in demand. May 2018: Brief summary of the main matters arising from the 2016/17 audits of district health boards (DHBs). By identifying and sharing our observations of all DHBs, we hope to increase the value of our audits beyond the independent assurance that they provide. Developments in technology are changing how we carry out even the simplest of tasks. So how are public sector organisations responding to citizens' needs? August 2016: In general, district health boards are doing reasonably well at marshalling their resources for current operational needs. However, our analysis of their financial statements for successive years suggests that their planning for the future and ability to deal with uncertainty or changing circumstances is limited. June 2016: Public agencies collect and use some information well to help them support those affected by suicide and find ways to prevent it. For example, reliable and detailed mortality statistics are kept on suicides and there is a rapid advice system in place for coroners to tell district health boards about suspected suicides in their area. June 2016: The Ministry’s progress in implementing national home-care quality indicators has been slow and it is currently working to produce a better set of indicators. The Ministry has strengthened infrastructure that should help it to better collect and use performance information to monitor the quality of home-care once national indicators are in place. 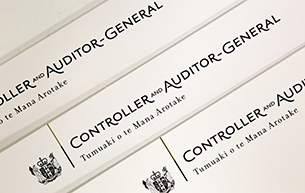 November 2015: Progress in responding to the Auditor-General's recommendation. April 2013: ISBN 978-0-478-41017-4 (print), ISBN 978-0-478-41018 (online). September 2012: We carried out a performance audit to assess the progress that the Ministry of Health and district health boards have made since we published our December 2009 report, Effectiveness of arrangements to check the standard of services provided by rest homes. March 2012: ISBN 978-0-478-38340-9 (print), ISBN 978-0-478-38341-6 (online). Central government: Results of the 2009/10 audits (Volume 2).